[invite] Bianca: We’ve adored the crepes and ice-cream at LOVE CREPE since they opened their first shop in Pyrmont in 2016. 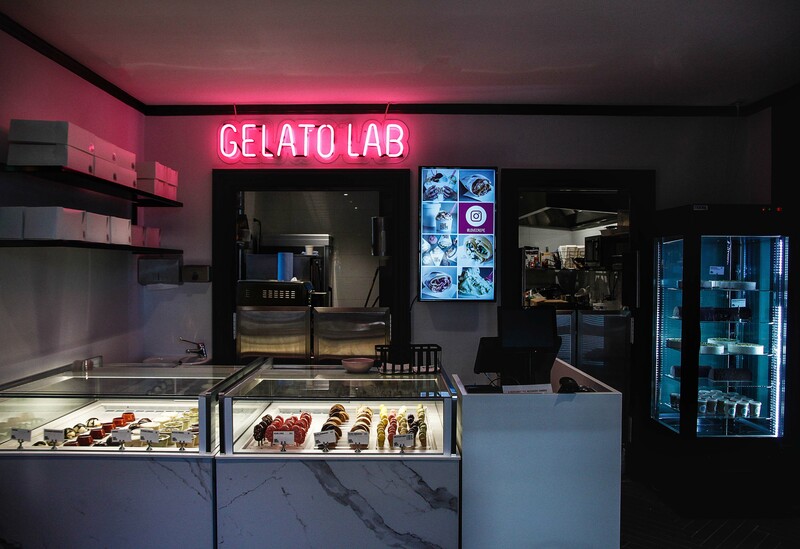 Brothers Michael and Nick Kondilis have some reputable gelato credentials behind them. I stand by my statement that they make some of the best Tiramisu Gelato in Sydney (as good as Bar Italia in their heyday). We were over the moon when they finally opened their second store on Drummonyne’s main thoroughfare Lyons Road. Not solely a ‘dessert’ locale, they offer some pretty tasty savoury crepes. Cabo -w/ Beef mince, tomato, guacamole, sour cream & jalapenos is Mexico in a handy parcel sized package. Perfectly lacy and delicate, with ample coverage to contain the piping hot filling. It’s beefy, creamy and you’ll probably get it everywhere but that’s part of the charm. Michael insisted we try the Elle -w/strawberry praline, Nutella, strawberries & crushed Oreos. The pink Nutella instantly draws you in, I was expecting a wallop of strawberry to be at the forefront but each ingredient was balanced perfectly. There was the slight give from the crepe, creamy chocolate(y)ness from the Nutella and the crunch of the Oreo crumbs. The Gelato is fantastic but I never stray too far away from the Tiramisu. And for pure decadence, we made good use of the Nutella fountain. With our Nutella filled Cone with Pistachio Gelato. We flipped this bad boy upside down and attacked it with a few spoons, breaking up the cone and making our own sundae. We’re both excited for our stomachs and scared for our waistlines now that Love Crepe is even closer to us. I gotta admit that pink Nutella is totally drawing me in!